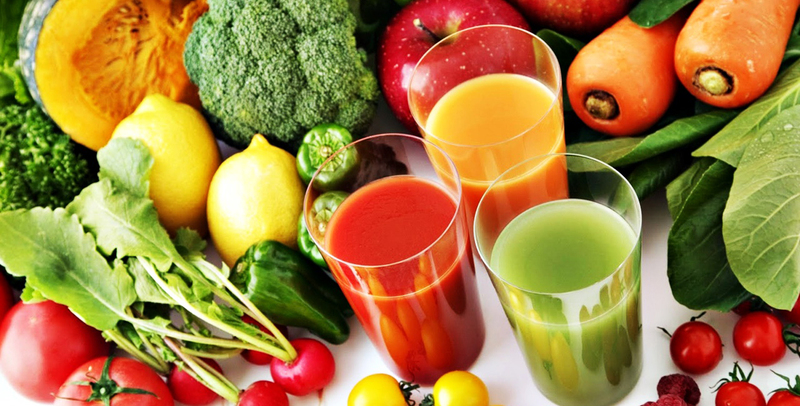 Whether you want an alternative to your morning coffee, a way to incorporate more fruits and veggies into your diet, or a full-body cleanse, juicing could be the solution you’ve been searching for. Even if you generally eat healthy and enjoy daily doses of fruits and veggies, juicing helps reduce your digestive system’s workload by skipping the breakdown process—when water and nutrients are extracted from food and fiber is discarded. Instead, the body can focus solely on absorbing the juice’s nutrients. Getting started is easy—just wash and prep your produce, throw it in the juicer, and let the machine work its magic. Most machines can handle the skin on fruits and veggies, but the flavor is often more pleasing sans skin or rind. Toss all prepped ingredients into your juicer, and if you choose to enhance the flavor with ginger, garlic, or other herbs, make sure to only add a small amount at a time. When you think of a healthy citrus juice, what’s the first liquid that comes to mind? If you said orange juice, you’re in the majority. However, there are many combinations of nutrient-rich, detoxifying citrus fruits that reach beyond the popular drink. The next time you’re serving up breakfast for the family or choosing an afternoon snack, try one of these refreshing recipes. Reprinted with permission from Juice by Carly de Castro, Hedi Gores & Hayden Slater (Ten Speed Press, © 2014).